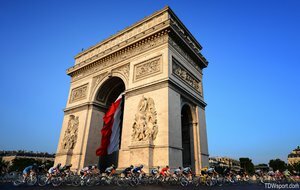 In a spectacular celebration of the 100th Tour de France the final stage brought the peloton into Paris in the early evening and for the first time circled the Arc de Triomphe. 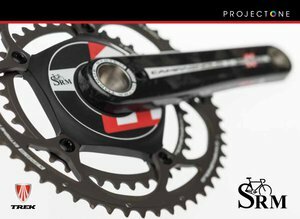 22 teams completed 10 laps of the circuit with ever increasing speed and power with 19 of the teams using the SRM Training System. SRM Sponsored Teams took all top honors this year: "Team Sky's Chris Froome became the second consecutive British cyclist to win the Tour de France, after Bradley Wiggins accomplished the feat the year before. In the race's other classifications, Movistar Team rider, Nairo Quintana, won the mountains classification and also finished as the best rider under the age of 26 in the general classification, finishing in second place overall; Peter Sagan of Cannondale Pro Cycling was the winner of the points classification, with Team Saxo Bank-Tinkoff finishing as the winners of the team classification." 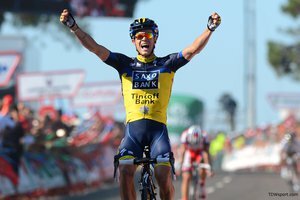 Movistar Team shared Rui Costa's SRM race file from the final stage. With 3,270 kilometers of racing behind him this file certainly has unique features and an inspirational finish.